Skiing holidays are one of the most entertaining and popular pastimes these days and represent the pinnacle of snow-based adventures in the Western world. There is nothing more exciting than setting off in the ice and snow and trying to tackle the cold, wintry climbs of a mountainous peak. But, did you ever wonder what it was that made skiing so popular in the first place, and how it came to achieve the popularity it has today? Well, we can credit this with the Swiss town of St. Moritz, and the English tourists who visited all the way back in 1864. We have to go back in time a little, if we want to understand exactly why St. Moritz plays such a key role in the development of winter tourism. Let’s have a look at the history behind the town that sold mountains to the world. St. Moritz was always known as a decent hiking destination and not much else. All that changed one fine October evening in 1864, when hotelier Johannes Badrutt challenged his guests to vacation in St. Moritz all year round. Badrutt promised Champagne climates and stunning visual beauty,. And the group returned the following year to find he was right. After winning the wager, word began to spread around England of the stunning St. Moritz, and how it was the perfect winter destination. Pretty soon after this wager had been completed, Badrutt saw year-round tourism come to St. Moritz. The town came alive under the surge of tourism and grew to become a much more accomplished and popular place. The Alps finally had the tourism it deserved, and it was reborn as a result. This place is largely credited as the main reason why the Alps became such a popular vacation destination, and what it was that made it so popular. It’s clear that the Alps has developed as a tourism destination since that time, and Badrutt’s son profited from his father’s gamble, carrying on the family legacy. He opened the luxurious, five-star paradise Badrutt’s Palace in 1896. The hotel is still going strong to this day, and represents much of the luxury and excess you can find in St. Moritz. The Badrutt’s were almost single-handedly responsible for marketing this place to the masses, and turning it into the global phenomenon it is today. 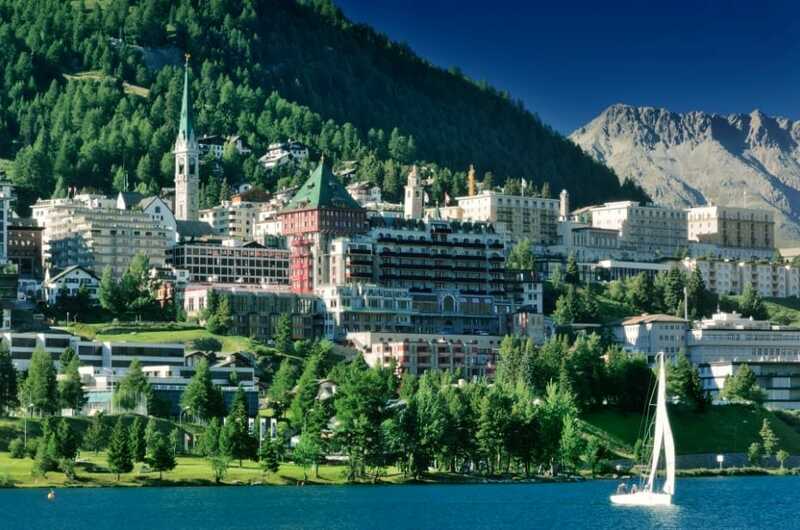 Nowadays, the town of St. Moritz is still one of the most popular, expensive, and opulent winter vacation haunts in the world. There are so many great places you can visit to go skiing or snowboarding, but there are not many that are as iconic as this one. And, just think where would be without this iconic Swiss town – no winter tourism! 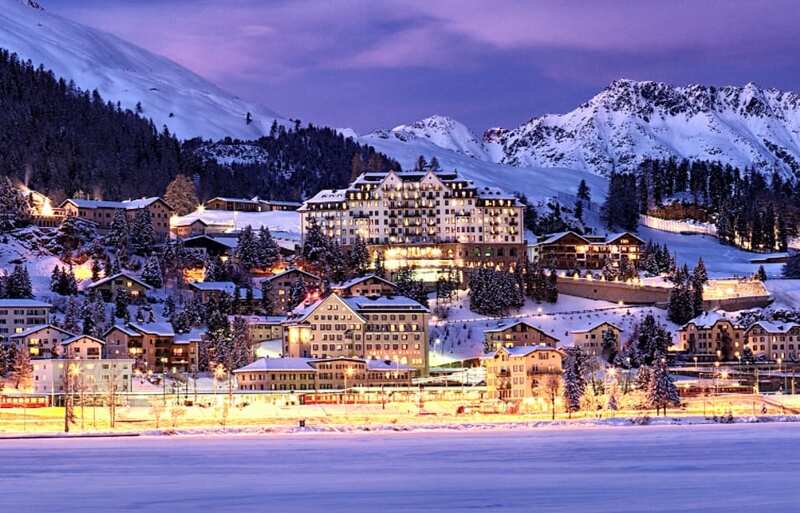 Hollywood stars have been to the snowy capped peaks of this Swiss town, all in the name of wintry fun! Winter tourism certainly isn’t for everyone, but, those it is for are looking for luxury and quality, along with some truly stunning views at the same time. It’s important to understand the appeal of places like this, and do as much as you can to experience them. St. Moritz brought the idea of skiing vacations to the masses, and is still experiencing the success of that even to this day.